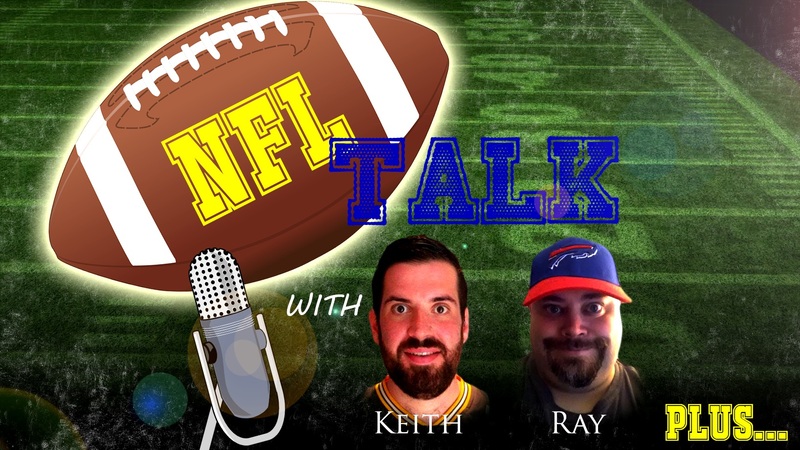 NFL Talk Plus Episode 52 – Back To Our Regularly Scheduled Program! Ehnother Podcast Proudly Presents: NFL Talk Plus Episode 52! It’s been a few weeks since we brought you a new episode of NFL Talk Plus and for that we apologise. However, due to the holidays and work and other life things, we just weren’t able to find a good time to record. We are back this week talking some big news that came out while we were away. Also talking playoff scenarios and other news of the past week. So welcome back to our regularly scheduled program as we head into the final Sunday of the regular season. Playoffs are just around the corner. This entry was posted in NFL Talk Plus and tagged Aaron Rodgers, Buffalo Bills, Carolina Panthers, Corey Linsley, Dallas Cowboys, Davante Parker, Dave Gettleman, DeAndre Hopkins, DeMarco Murray, Dirk Koetter, Eli Apple, Football, Green Bay Packers, Houston Texans, James Harrison, Jay Gruden, Kansas City Chiefs, Keith, Marc Ross, Mike Maccagnan, New England Patriots, New York Giants, New York Jets, NFL, NFL Talk, Orlando Scandrick, Patrick Mahomes, Pittsburgh Steelers, Ray, sports, statistics, Tampa Bay Buccaneers, Tennessee Titans, Todd Bowles, Tyron Smith, Warlock Hour, Washington Redskins. Bookmark the permalink.